Gourmet Black Pepper from Madagascar. Attributable to the wonderful cultivation conditions, the Black Pepper from Madagascar is one of the top choices of many spice traders, because it has low annual production and it is therefore limited in quantities. 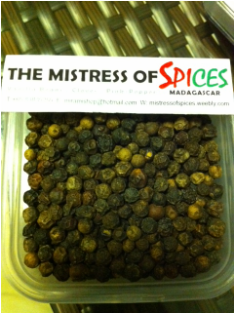 The black pepper from Madasgascar are rare and exotic.